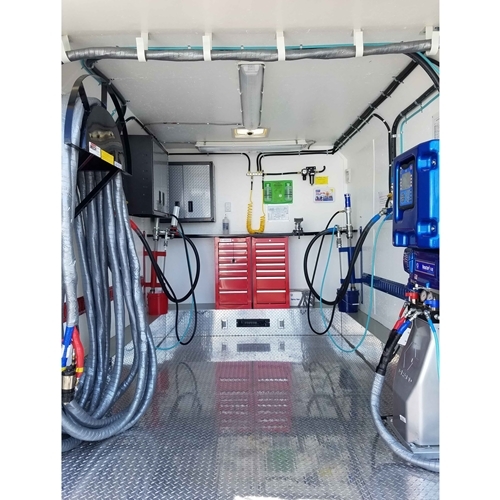 Our Interstate Series customizeable spray foam rig models are ergonomically laid out and professionally designed with the 40 hour + work week contractor in mind. Built in a premium quality 16’ extended height trailer, the Interstate provides marketing aesthetics with top-notch productivity. 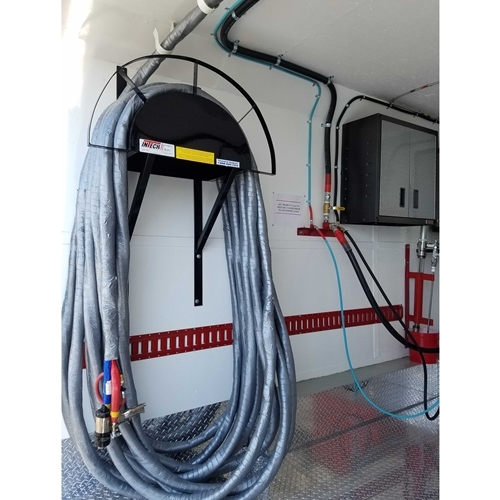 The Interstate spray foam rig comes in a variety of equipment packages from the E-20 and E-XP Reactor versions to the H Series, including the brand new Reactor 2. The Interstate models have been our best sellers for the last 10 years to contractors that are looking for a fully outfitted rig that successfully produces from the Florida Keys to the Northern Hemispheres of Canada. 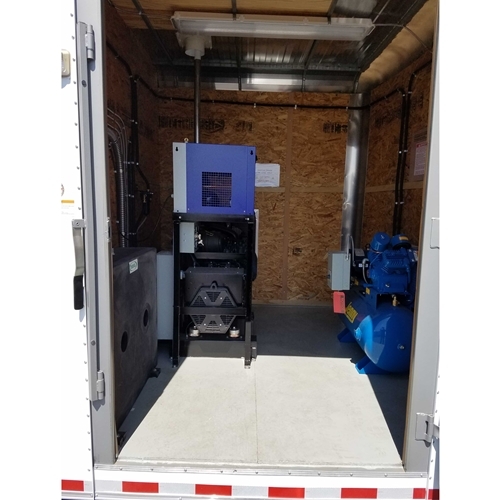 This rig has proven to be the best unit on the market as a turnkey product for spray foam contractors starting out in the business. The customizable capabilities virtually eliminate the need to upgrade. 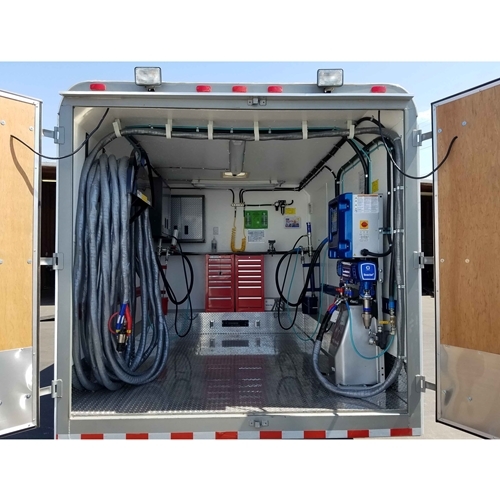 For spray foam contractors adding to their existing fleet, the Interstate spray foam rig series is a great choice since it provides a long term solution. The unit is tightly insulated to ensure stable spray foam chemistries allowing optimum performance year around. 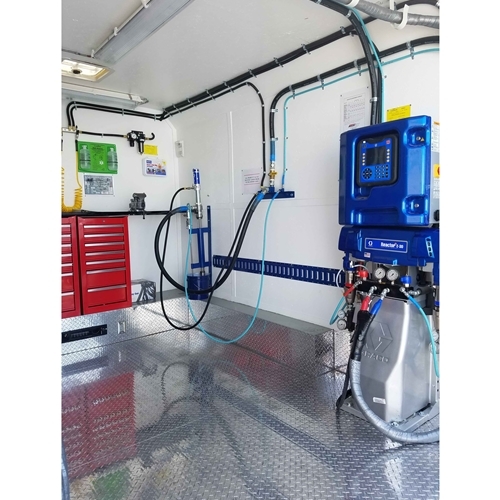 This spray foam rig is ideally suited for contractors that spray up to two sets of open or closed cell foams per day. The engine room is specially engineered to ensure longevity, low maintenance and maximum performance of your engines and compressors, with automated louvers and forced air flow allowing closed door operation during the colder seasons (the E-20 version can be ran off 220V Shore Power). 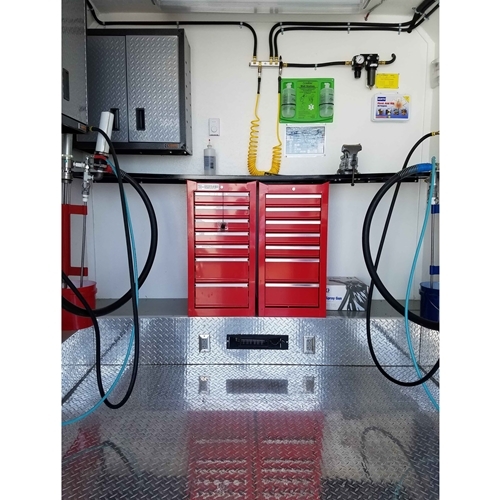 This spray foam rig is built on an extremely reliable sub-frame with 5,200 lb axles, the equally distributed weight of the floor plan allows the unit to track perfectly behind a ¾ HD to a 1 ton pickup. 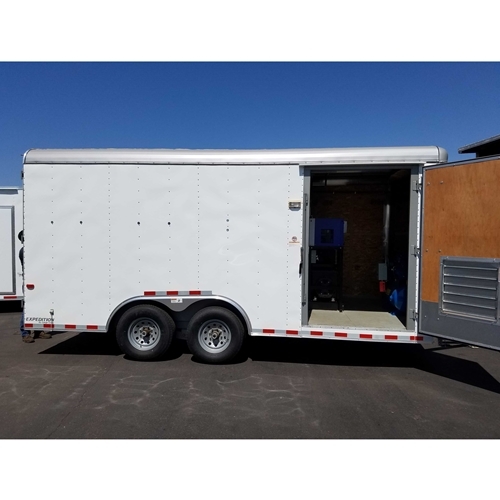 Also available in a E-20 Gas powered setup. Contact us for more info.